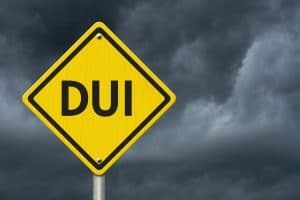 In Tennessee, any driver who is convicted of a driving under the influence of alcohol charge will be ordered to surrender his/her license for at least one year. Any driver who refuses to submit to a chemical test such as breathalyzer test will also lose driving privileges for at least one year. All Tennessee drivers are deemed to have given an implied consent to submit to a valid request to take a chemical DUI test by virtue of travelling on Tennessee’s roadways. The length of the suspension will be increased if there was an accident or if there were prior offenses. Many residents need a driver’s license to earn a living. For this reason, the state does allow drivers whose license has been suspended to request a restricted driver’s license. There are many requirements that must be met first. An experienced Tennessee DUI attorney can explain if you qualify for a restricted license and what steps must be taken to obtain the restricted license. To obtain the restricted license, you will need court approval after a hearing. The approval will require valid liability insurance for high risk drivers, often referred to as “SR-22.” You also may need a letter from your employer verifying your employment and working hours. Some drivers may be able to install and use an ignition interlock device as an alternative to obtaining a restricted driver’s license. Should you choose to install an interlock monitor on your vehicle, the Court will likely lift any geographic and time restrictions on your restricted license. There are often defenses to a DUI charge or a license suspension due to failure to take a chemical test. If your license is suspended, the experienced Sevierville DUI defense lawyers at Delius & McKenzie, PLLC can help. We work to process your restricted license request, so you can work, attend school, or meet other obligations. To review your rights, please phone us at (865) 428-8780 or fill out our contact form to speak with a respected attorney. Our lawyers represent clients in Sevierville, Seymour, Gatlinburg, Pigeon Forge, and the neighboring areas.